Sakai Guides and DocumentationSakai Complete User Guide PodcastsHow do I subscribe to a podcast? 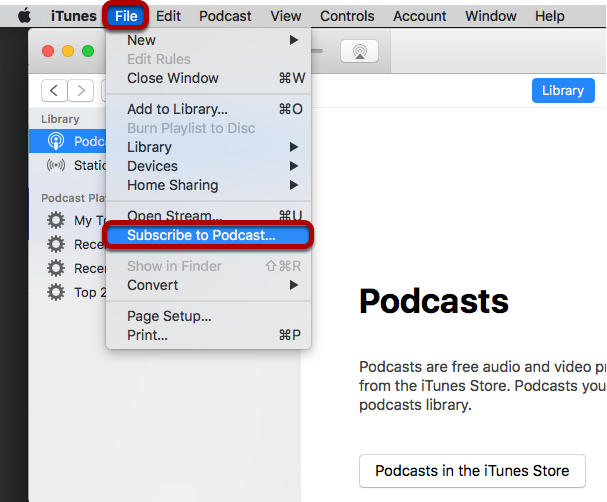 Instructors and students can subscribe to a site Podcast and have the Podcast files automatically downloaded to a "podcatcher" application of their choice (e.g. iTunes). Copy the site's Podcast RSS feed URL. Zoom: Copy the site's Podcast RSS feed URL. Open your preferred podcatcher application (e.g. iTunes). Click File / Subscribe to Podcast. 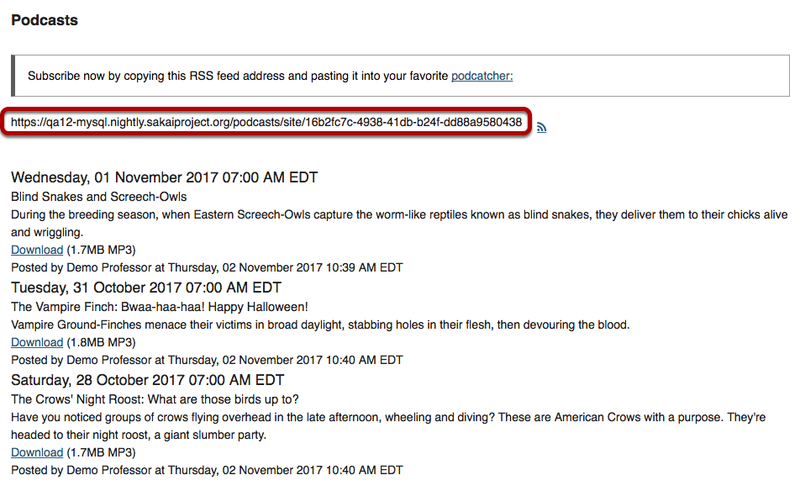 Paste the site's Podcast RSS feed URL into the URL box. Zoom: View of podcast subscription in podcaster app (e.g. iTunes). You are now subscribed. 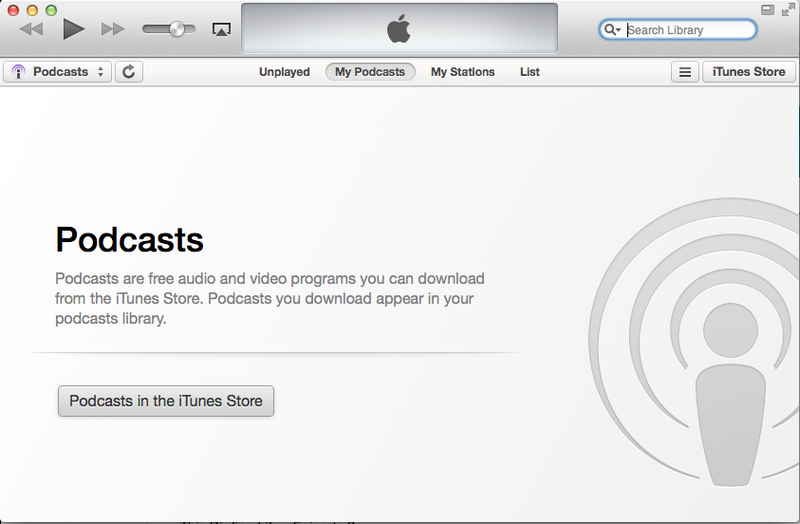 The image above displays the example Podcatcher application (iTunes) with a subscription to the site's Podcasts. Prev: How do I add a podcast? Next: How do I allow students to upload podcast files?